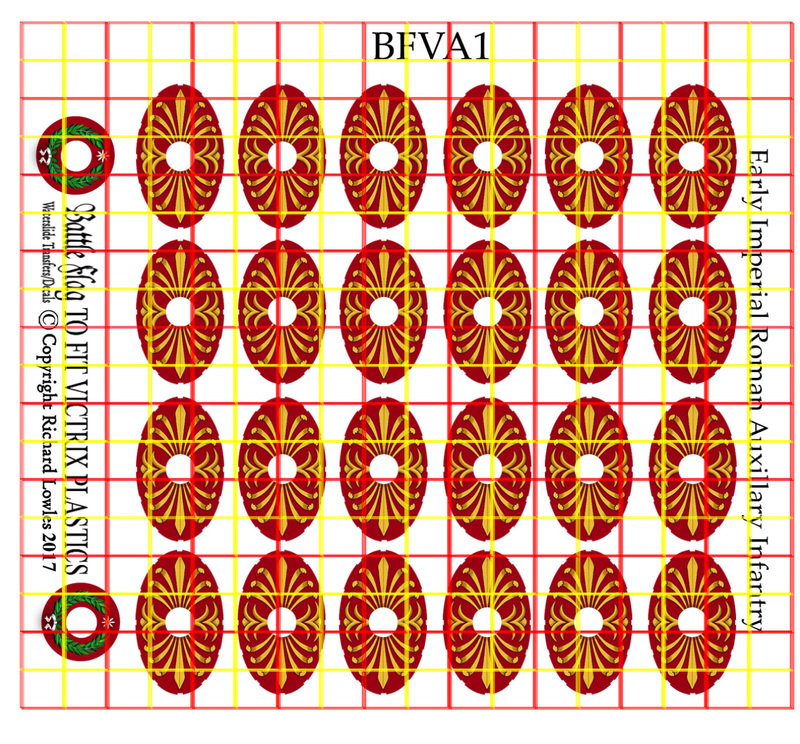 A great value set that allows you to decorate a full set of 25 Victrix Early Imperial Roman plastics for just £5.00. 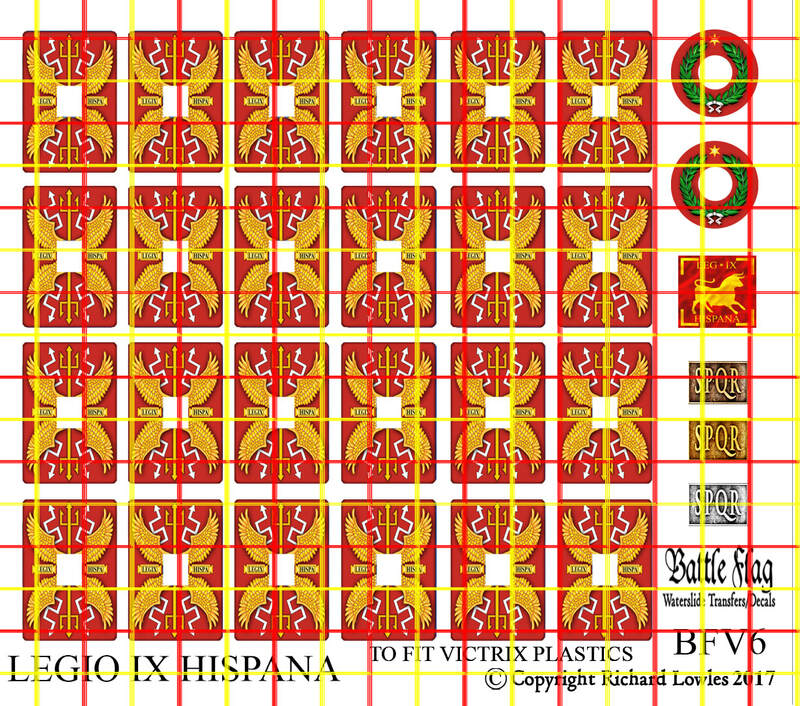 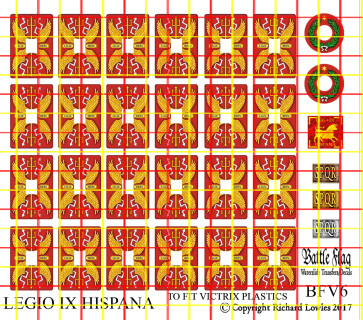 Legio IX Hispana. 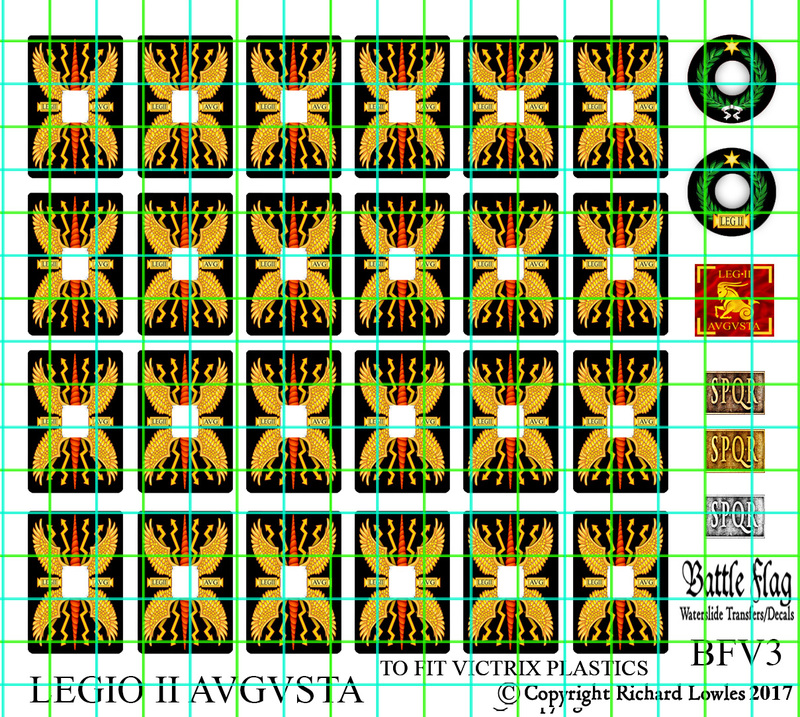 The Lost Legion. 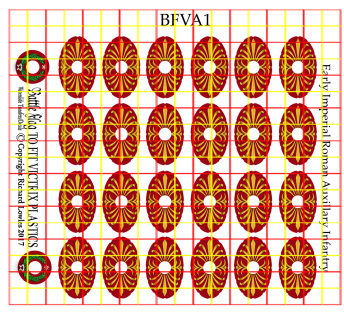 A great value set that allows you to decorate a full set of 25 Victrix Early Imperial Roman plastics for just £5.00. 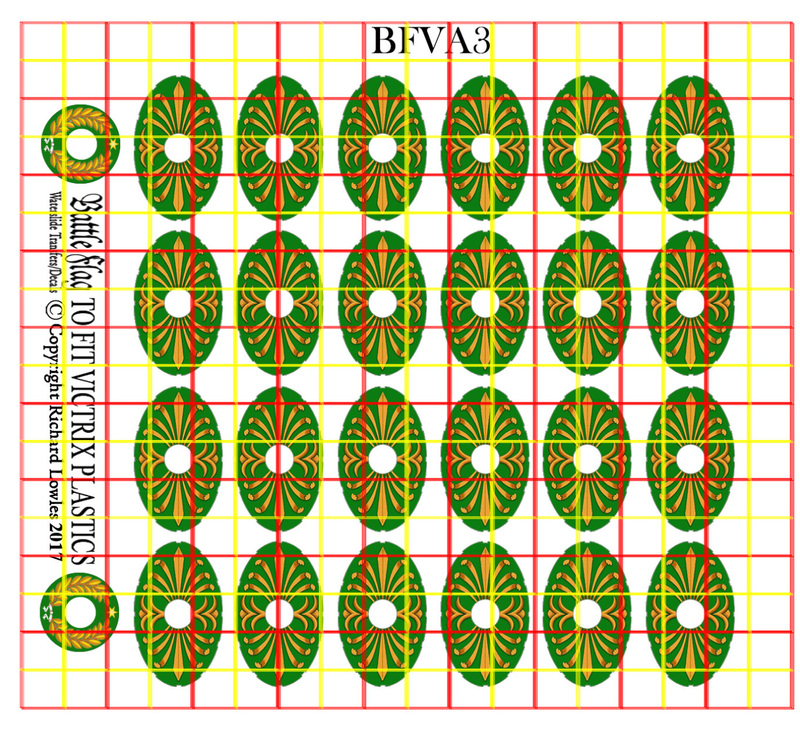 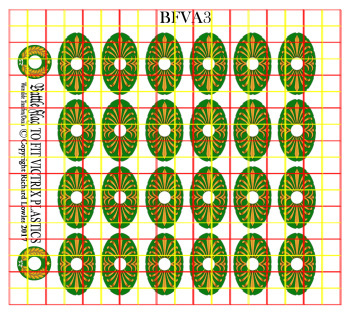 A great value set that allows you to decorate a full set of 25 Victrix Early Imperial Roman plastics for just £5.50. 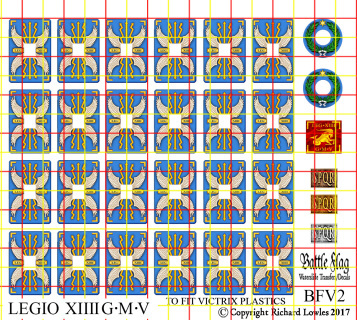 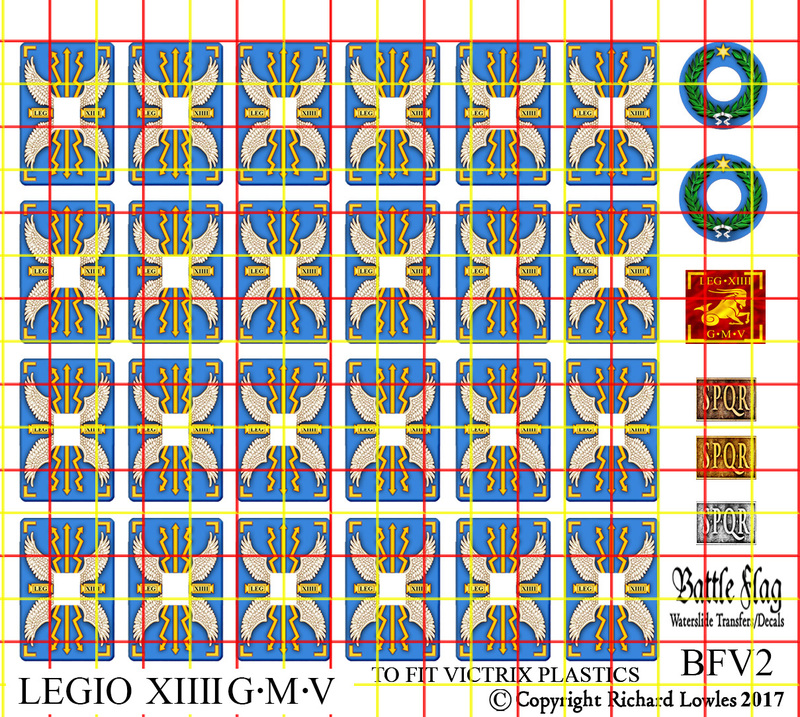 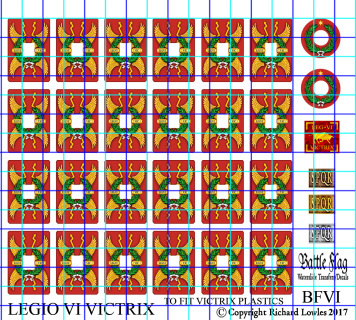 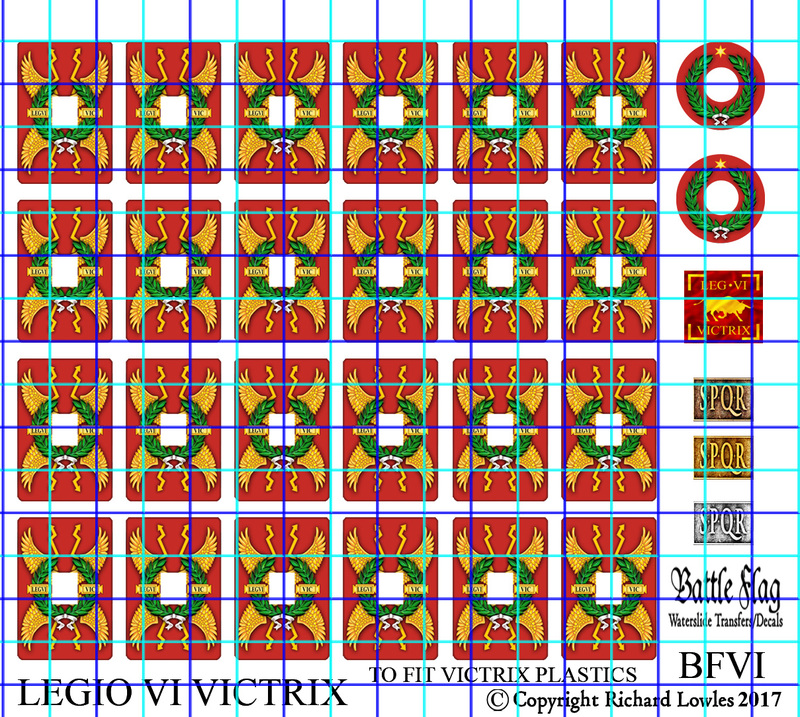 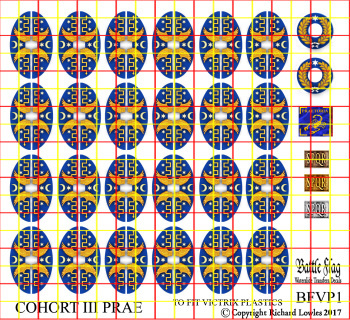 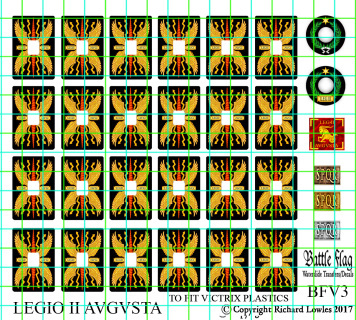 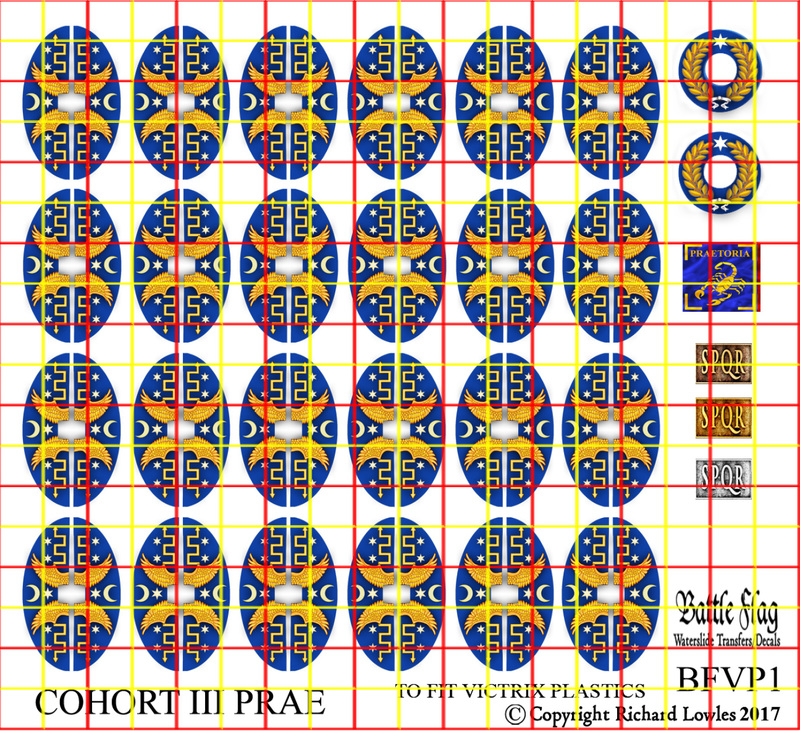 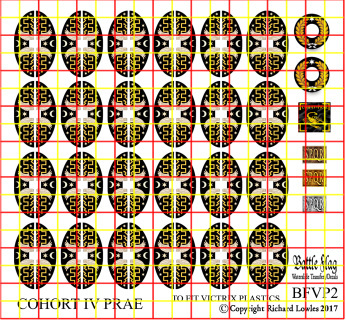 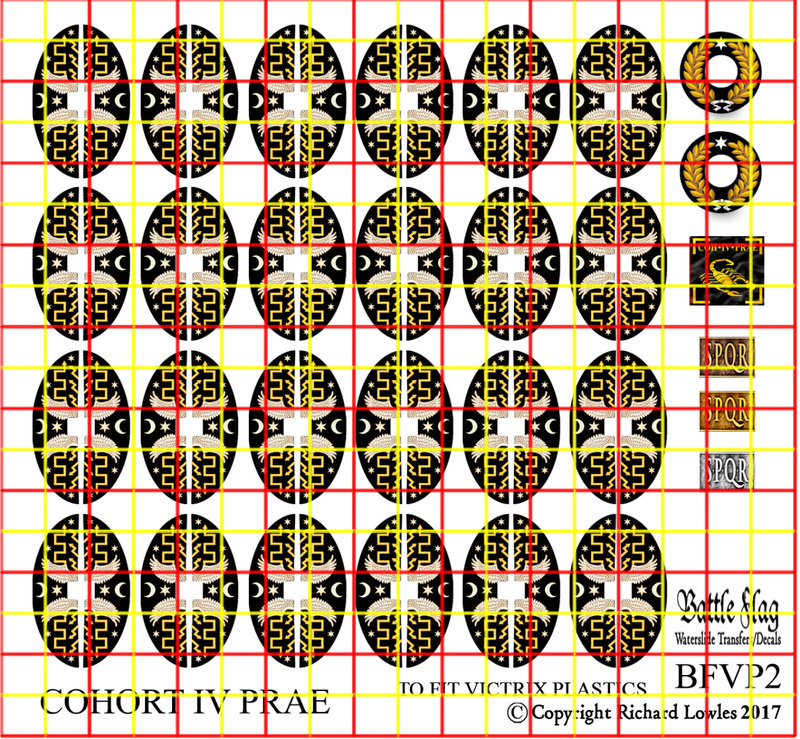 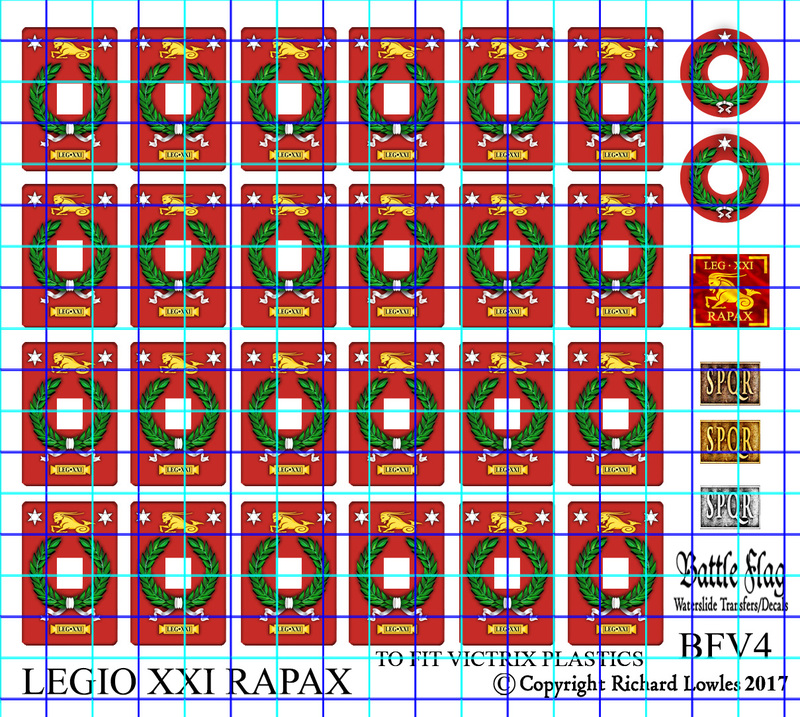 Imperial Roman Auxiliary Infantry Design 2. 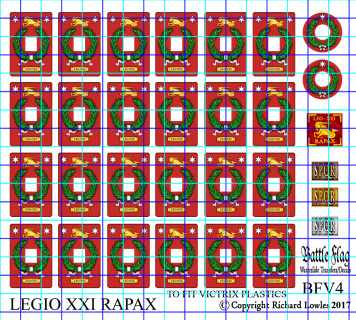 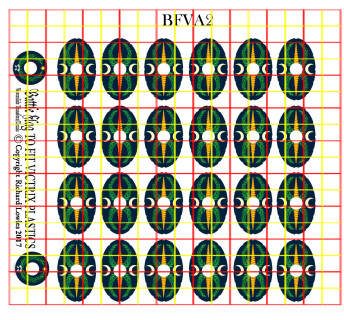 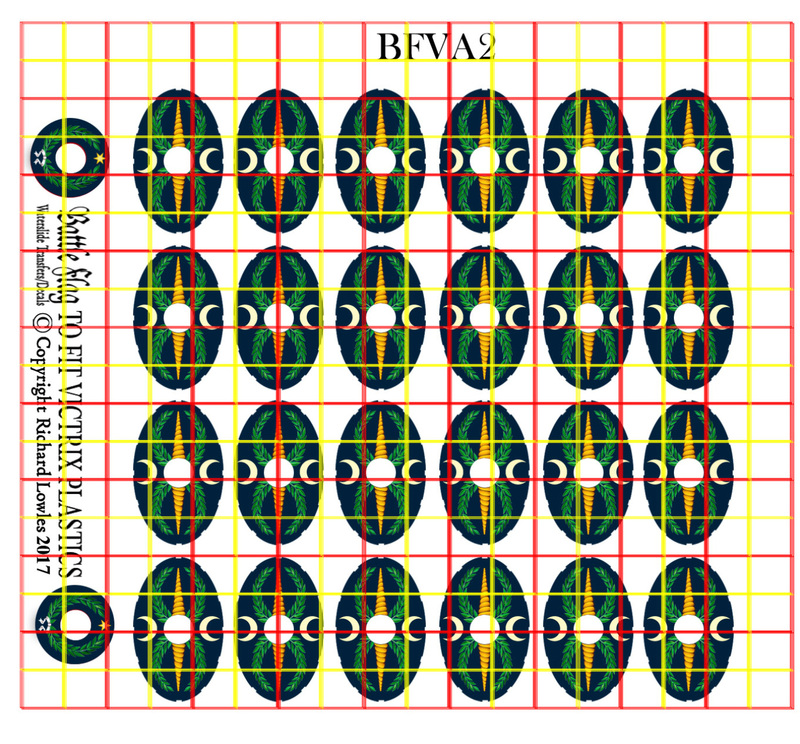 Enough Decals for one complete box of Victrix Roman Auxiliary Infantry.